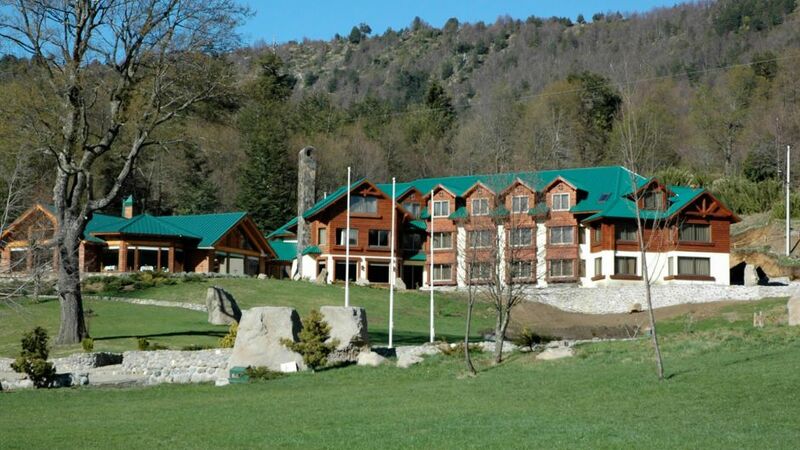 4 ESTRELLAS "Surrounded by ancient Ararucarias, Hotel Malalcahuello and thermal center is located 120 km. Temuco, in the Commune of Curacautín. Surrounded by ancient Ararucarias, Malalcahuello the Thermal Center is located 120 km. Temuco, in the Commune of Curacautín. Our hotel, with an area of 1,500 square meters, has 27 comfortable rooms. Standard rooms, Superior rooms, Malalcahuello de Luxe, Malalcahuello Suites, Apartments with one or two bathrooms. The hotel also has internet service Wi-Fi in the lobby which is accessible to all guests who require it. All rooms and cabins have safes. Malalcahuello Thermal Resort & Spa has 27 rooms spread over 3 levels, its decoration is based on a mountain style. Completely independent heated by radiators and radiant slab. Thermo-Pane Glazing throughout the building provide an unparalleled view of the Andes Mountains and the warmth that only Malalcahuello Thermal Resort & Spa can provide. Thermal Spa & indoor pool in an area of 1,300 square meters fully heated. Counter-current with temperatures between 37 and 38 degrees. Two smaller pools of 7 and 43 degrees respectively.